[Interview] SOOHAN Talks "Made In Baltimore"
Sensible Reason: What are you most excited about with the release of your album, Made in Baltimore? Soohan: The fact that I can share the music I made myself with all of these people. I have been DJing and producing music for seven years. I started producing my own events when I founded MANIFEST in Baltimore with Alexa Grey in 2011, so I put my own music on the back burner so to speak. When you DJ for people, and play other people’s music, it’s not as satisfying as it is when someone tells you they really love the music that you make. My Album Release Party was the first time that I have ever played solely my own work. Sharing my own art with the world is definitely the most rewarding part of all of this, and the fact that this is just the beginning. SR: Do you have a favorite sample out of all that you have collected? How would you describe your sound? S: Made In Baltimore is a refreshing take on sample-based music, which is most accurately described as a “buffet of international bass music,” All of the tracks on the album pay homage to the mighty 808 kick, but it’s the unique and extensive sample selection that makes this work truly memorable, a multi-faceted journey, both across the globe and into the past, pulling simultaneously from the traditional music of various cultures as well as from the depths of our nostalgia. My favorite samples from the Album are definitely “Lizard’s Eye by Denra Durr” (the didgeridoo in Super Heady Spiritual Gangster) and “Oh, Lazar” by The Mystery of Bulgarian Voices Choir in “Full On Bulgarian”. SR: What has been one of your favorite performances to date? 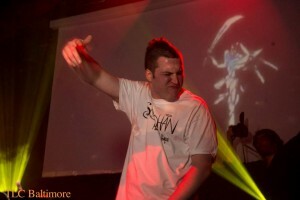 S: Opening for Big Gigantic last year. Playing in the planetarium at the Science Center in Baltimore two years in a row. Playing a set at Moonrise Festival this past summer. And of course, my sold out Album Release party at The 8×10 with Space Jesus and James Nasty. SR: Who are your influences? What inspired you to become a producer? S: I knew I wanted to become a producer as soon as I started messing around with Garageband in 2007. My initial inspiration were DEFINITELY Diplo, M.I.A, Dave Nada, Tittsworth, and Blaqstarr. I was a fly on the wall in Baltimore for their rise to fame 5 or 6 years ago, saw them at all the parties, and thought “I want to do what they are doing!” As of now though, I would have to say that my biggest inspirations is Space Jesus. He has always encouraged me to continue my path as a producer, and I couldn’t be more grateful for that. He is like my big brother in the music scene right now. SR: What is your Favorite Track on the Album? SR: What’s next for Soohan? Any plans for a tour in the future? S: I have four gigs in January. There are talks with a few Northeast friends about a Maine, Rhode Island, Boston run in April. Just got booked for a festival in August. I am hoping that the album keeps its momentum and gets into the hands of some of the right people who book festivals for this summer. Other than that, I have returned to making music. I already have two new songs. My goal is to release another album right before summer. So I will be hard at work. 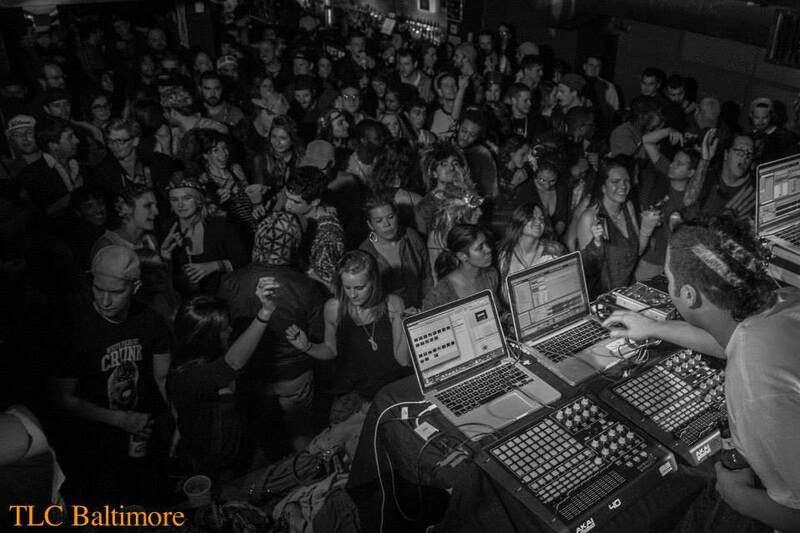 SR: What is your involvement with the Baltimore Electronic Music Community? S: I have been DJing in Baltimore for about 6 years. I am co-founder of the infamous Baltimore MANIFEST parties. I have thrown underground parties that are still talked about to this day. 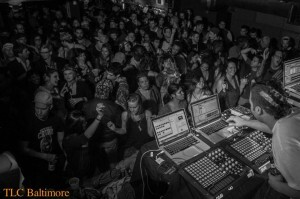 I consider myself fully invested in Electronic Music Culture of Baltimore and I don’t plan on going anywhere anytime soon. My next big goal is to curate an event focused on the art of dance. SR: Is there anything else you would like us to know about the album? S: That I put my heart and soul into this project. It has already been super rewarding. No plans of stopping any time soon. This is just the beginning. Also, that it is FREE for download. You can also receive a hard copy for FREE if you send me a personal message on Facebook with your address. Catch Soohan LIVE next weekend at Symbiotic Spirit in Baltimore, and Cotton Candy Galaxy in Washington D.C.